Do you think that getting a good VR headset can be spendy? Well, not really if you know where to look. I remember searching online for affordable headsets some time back, but the options didn’t seem to be many. The Noon VR Plus headset aims to change that, and is both affordable and let you enjoy a wide range of VR content. You might want to keep a few things in mind when searching for a VR headset. The headsets in budget category rely on a smartphone and may not fulfill your gaming needs adequately. If you want something to watch 360-degree content and movies, then go for it! But if you are one of those who desire a complete VR experience with controllers and gaming, then you should go for the premium models like Oculus Rift. Now let’s explore the things to consider. With so many kinds of VR headsets in the marketplace, you may be spoiled for choice. With tethered headsets, you can opt for the ones which can be hooked to your computer or the gaming console. If you would like a smoother and less risky introduction to virtual reality, Smartphone VR will be just right for you. Enjoying mobile or app content will also be a breeze with the Noon VR Plus model. You need a computer with higher specifications or a gaming rig to use tethered VR headsets. If you want to buy a mobile VR headset, then make sure that your mobile has the required screen resolution.In terms of size, 4-6 inches is the average screen size range as shared by the manufacturers. Headsets with a narrow field of view produce a less immersive experience. So, take care to choose one with a wider field of view. You cannot use all headsets with glasses. If you wear glasses, remember to check out this feature before you buy them. 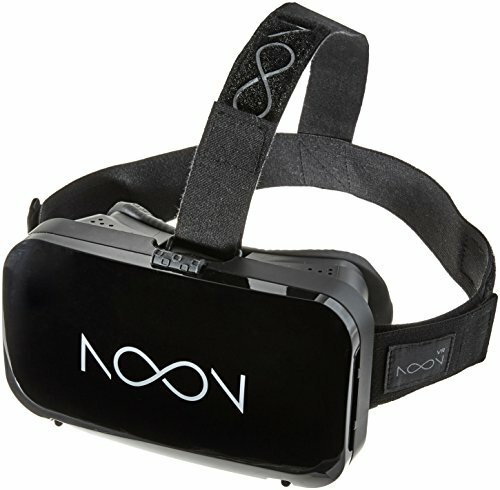 The Noon VR Plus is an affordable option which comes from the Korean technology company FXGear. You have to use a smartphone to unlock the VR capabilities and can even stream content from the PC. The Android or iOS smartphones should have a minimum screen resolution of 1920 x 1080 pixels and gyro sensors for the intuitive controls to work. Enjoy the 3D experience when you use the Noon Mobile App to discover content and convert your mobile videos for the best VR experience. The Noon VR Plus supports a 95-degree field of view, that is a bit lower than the Noon VR Pro version. But the Noon VR Plus is much lighter at 213 grams, which is great for long hours of easy entertainment. If you want to get the most out of your PC and mobile content, then Noon Plus is just right for you. VR enthusiasts with glasses will find it a breeze to use for extended hours of play. Noon VR Plus may not be enough for the users who want to indulge in skill learning or intensive gaming. The Noon VR plus features a simple design. It comes with a big protective cover on the front of the device to keep the lenses clean. The cover also blocks bright lights and provides a darker environment to enjoy your content optimally. 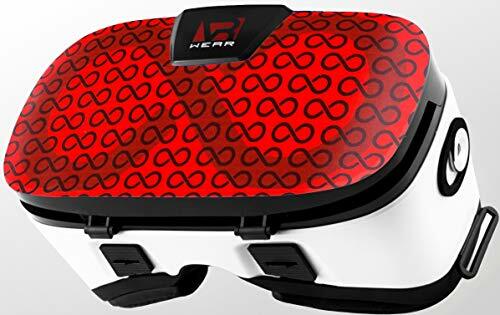 You will also see a rubber strap that is connected to the top and bottom of the headset. 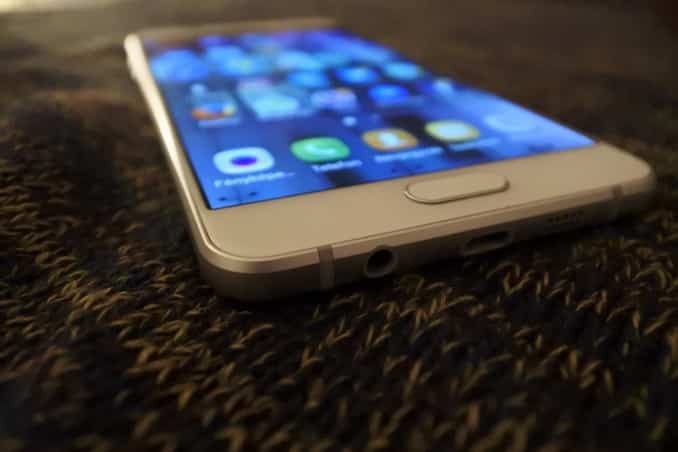 You can unhook it at the bottom to fix your smartphone. There are two rotatable feet at the bottom part for securing your phone and bring it in line with the lenses. I used the feet to adjust my iPhone 6, and it sat snugly within the strap without any problems. I also used a bigger Samsung Galaxy S8 mobile and was able to achieve the same results. The comfort and fit of a virtual reality headset can be a deal maker or breaker. In the Noon VR Plus model, you will find two straps behind the headset. One strap goes from top to bottom while the other runs from side to side. Make sure to get a good snug fit around your head before you get your game on! To be honest, my head is a bit bigger than ordinary people, but it was easy to get the Noon VR Plus to sit comfortably around my face. There is thick and soft padding around the lenses which doesn’t put any stress on your nose or around the eyes. I watched The Revenant for about one hour without feeling any nausea or discomfort. The headset is also lightweight, so unless you have a super heavy phone, things will work out fine! You can control your VR experience and set the preferences using the motion of your eyes. Do note that your phone should have a gyro sensor to enable this function. If you want to select an option, you just need to point your eyes towards its direction and hover the cursor for two seconds. I found the feature to be responsive and it made a click sound to confirm my choices without any lag. You can also adjust the focus and get rid of double images using the easy-to-reach dial on top of the device. The VR videos are also easy to control, and you can play, pause and adjust the volume with eye movement. You can center the screen and access the main menu with a single tap on the front cover of the headset. The quality of display of your Noon VR Plus is determined by your mobile specifications. You need at least 1920 x 1080 pixels resolution for the device to work, though I would recommend higher resolutions for the best experience. It is easier to make out the smaller details in the videos, and the display is pixel-accurate and snappy! The headset can support resolutions up to 11,000 pixels – that means you can even use a 4K phone like Xperia XZ Premium with 3840 x 2160 resolution! Many VR headsets make your eyes feel fatigued after extended use. Noon VR Plus scores high here with its Blu-Ray lens technology that blocks out harmful light rays and ultraviolet rays. I wasn’t convinced after reading about it, but the real-life experience changed my opinion. FXGear has provided a more life-like VR experience by optimizing the environment and enhancing clarity. I didn’t feel any eye exhaustion even after watching ten short videos back to back. Noon scores brownie points here for considering the user’s eye health! Don’t you just hate it when your lens gets fogged in the middle of a VR experience? Noon VR Plus seems to have taken note of this problem while designing their headset. The device features ventilation ports on the top which allows for optimum airflow to keep your lenses clean. Even if you are in a hot or humid locale, you wouldn’t likely have any lens fogging issues, even in the summer. Noon VR Plus comes with the KOOM app which lets you discover VR content provided by FXGear. I found the 360-degree simulations to be really captivating, but sometimes they turned a bit smudgy. You can find many videos of concerts and natural landscapes to keep you busy. You can easily view your phone videos using this headset. You can also upload any videos and use the video conversion feature of the app to get clear videos in immersive and 3D mode. The quality can feel like early days 3D movies but gives you a different experience of watching your phone videos. Do you know what’s probably the most useful feature of the Noon Plus headset? I really like the feature which allows me to sync my computer with the headset using the KOOM app and directly access high-resolution videos and games on the headset. The setup process is also straightforward. You have to download the Noon application on your computer (Windows and Mac) and enter the system generated IP address into the app on your phone. Doing this, will allow you to broadcast PC content over a WiFi connection to the headset. You can even stream to multiple Noon VR headsets from a single computer and enjoy a fun time with friends and family. What are People Saying about Noon VR Plus? You cannot be sure about the quality of a product unless you know what the customers are saying about it. I searched different websites and e-commerce stores to find authentic reviews by genuine customers and found quite a few. Most of the users are delighted to find a VR headset in this price range which can even sync with a computer. The customers also talked about how the device can handle any format of VR videos and play them beautifully to provide an immersive experience. VR Wear 3D headset is much cheaper than the Noon VR Plus and can be suitable for beginners. It also uses a two-way harnessing system but comes with pads at strategic positions for extra comfort. The VR Wear has a slightly wider field of vision at 100 degrees while Noon VR features 95 degrees. You can use a varied range of phones just like Noon VR though it’s a bit tricky to set up the headset. VR Wear 3D headset comes with a magnetic button which lets you control the menus. You don’t have any eye or head motion-controlled feature in this device. People on a tight budget can check out this headset. PERFECT GIFT FOR KIDS & ADULTS - Bnext virtual reality vr glasses for iPhone & Android phones is compatible with smartphones and mobile devices such as: iPhone, Samsung galaxy & note & edge, Motorola, Moto, HTC one, Huawei, Xperia, Nexus, Droid turbo 2, Google Pixel 2, LG, Asus, Meizu & any other standard phone with a screen no bigger than 6.3" to bring you a totally immersive visual 360 experience. 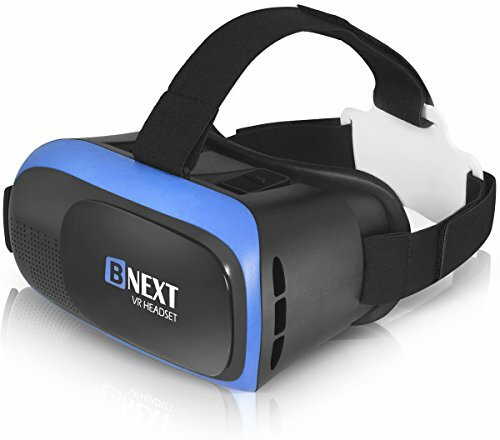 VR SMARTPHONE COMPATIBILITY: Bnext blue VR goggles compatible with ios iPhone VR such as: X, XR, XS, 8, 8 plus, 7, 7 plus, 6, 6s, 6s plus, 6 plus, 6, 5, 5 plus, 5c, 5s, SE, etc. compatible with Samsung Galaxy s8, s7, j3, s7 edge, s6, s6 edge, note5, a8+, note 3, note 4, note 5, note 7, note 8, note 9, s5 s6, s7, s8, s8 plus, s9, s9 plus, one plus, Box VR etc. With LG g6, g5, g4, v30, v20, v10 etc. And many more smartphones & drones. BNext is yet another affordable VR headset priced below the Noon VR Plus. One big difference is that you cannot sync it with a computer like the Noon and have to depend on your smartphone for content. Apart from that, you can access online VR videos and games from app stores and Youtube. Both the headsets use a two-way harnessing and eyesight protection system. The BNext headset only supports phones from 4 to 6-inches while Noon VR accepts till 7-inches. People who want to save some money and are satisfied with mobile-only VR will find the product useful. You can explore the BNext 3D VR here! 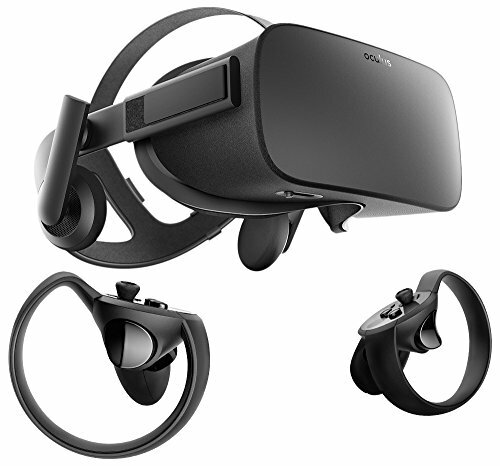 Oculus Rift features in the premium category of VR headsets. You need a high-end computer with a fast processor, dedicated GPU and 8GB+ RAM to power the headset. There is no need for a separate mobile as the headset comes with its inbuilt screen. The only similarity between Noon VR and Oculus Rift is that both can play VR content. But apart from that, almost everything is different! You get the actual feel of VR and can immerse yourself in intensive gaming and other demanding applications. If you really want to redefine your digital entertainment, Oculus can be an ideal choice. Of course, you need to be able to afford it! Noon VR Plus offers an affordable way to enjoy VR content with the help of your smartphone. It can be a good choice for beginners and those who don’t want to spend a truckload of cash on a VR headset. 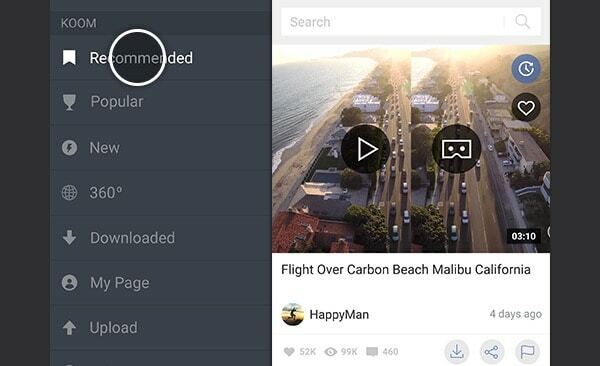 You can also use the remote feature and get unlimited content streaming from your computer. Your eyes will also thank you as they will be able to avoid fatigue due to Noon’s Blu-Ray lens technology. Have you used the Noon VR Plus headset or have a couple of pro tips to share? Support your fabulous VR headsets tips and suggestions with our tech-loving community in the comments section below. Share this informative guide to help your peers in finding a great VR headset today! provider at a fair price? Thanks, I appreciate it!